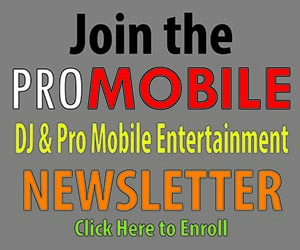 Being a professional mobile DJ means more than just playing music and being the master of ceremonies. The job also entails creating an overall sensory experience of both sound and sight that energizes your audience. Every type of event offers countless options for implementation in a manner that will not only please your client but undoubtedly impress those present and gain you some new ones. The most powerful way to up your game and take your show to the next level is with the latest lighting technology. In the past, lighting systems for mobiles were cumbersome with heavy metal casings and expense bulbs that needed frequent changing or they were low quality with “cheesy” limited effects. Today’s advances in LED lighting provides us with the ability to create a nightclub style light show or create spectacular uplighting without the need for an entire road crew– and for a very affordable price. In addition, few mobile DJs used lasers because of their high-cost and difficult set-up. Not anymore. Today’s advances in laser technology have put this unique special effect at a price point that’s affordable to the average mobile. 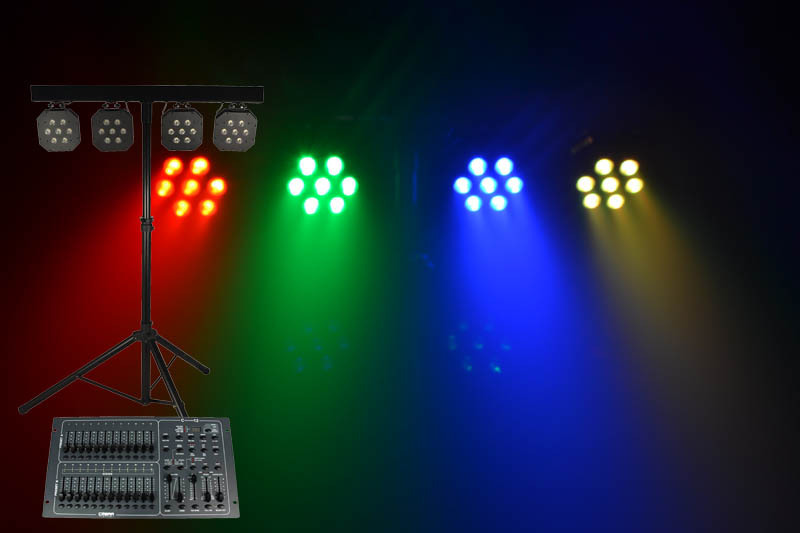 Chauvet and American DJ are the leading suppliers of affordable, reliable LED Lighting. 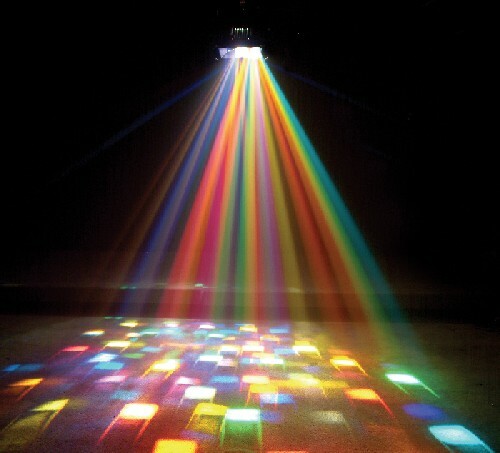 Their prices range from $70.00 for a Chauvet COLORsplash Jr to $600.00 for the American DJ X-Move LED Series. There are also a multitude of options to choose from in the $100.00 to $250.00 range. American DJ Avenger2 is a great unit for the mobile DJ who doesn’t want to break the bank or sacrifice quality. Its 20 high powered beams of light work extraordinarily well in any size venue. Chauvet Vue 6 Bright LED Effect is a piece of lighting gear that creates a firework-like projection and rotates red, green and blue lights on the dance floor. Chauvet Scorpion Storm RG Laser is an effect that offers the latest in laser technology. It will fill virtually any size room into a virtual galaxy with rotating laser stars. With the addition of a lighting tree stand or some trussing and a lighting controller, you can have an awesome light show for less than the amount of your 2009 tax refund check. If you’re looking to add revenue to your bottom-line (and who isn’t), I suggest you start building your lighting packages today! To see the newest options out there including all-inclusive packages, visit http://www.americandj.com, http://www.chauvetlighting.com or an online store where I like to shop, http://www.idjnow.com. 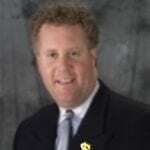 Jerry Bazata President of J&J Marketing and Entertainment is a leading consultant for the Nightclub Industry and has been featured in DJ Times Business Line and as an Industry Expert at the International DJ Expo and International Bar/Nightclub and Restaurant Show. If you have any further questions email: jerry@mainediscjockey.com. Wedding DJs - Why Is Dinner The Hardest Part?